built a new gaming computer for my son. will not power up. we have a NZXT Guardian 921 tower and an msi z77a-g45 motherboard. i had everything working and my son wanted to tidy the wires and now it will not power up. i undid all the wires and tried to rewire but it will not power on. does anyone have the above tower and have wiring instructions? it is a fancy tower with a lot of blue led lights. i used to build computers back in the day but these new towers are stumping me. i guess i was lucky the first time. See More: built a new gaming computer for my son. will not power up. I myself own a NZXT tower (not the gurdian) and have built many machines with NZXT cases. It would probably be best to bench test your machine even though you confirmed that it is working, it is good practice now that you are having problems. This will also give you the chance to look behind the motherboard to see if you have a stray screw fallen behind shorting the board, which is not uncommon. if you do not want to take the board out then, unplug all uneccessay thing such as case fans, additional hard drives etc from the board, keep only the cpu, one ram stick, one hard drive and GPU. i would unplug all the cables from the PSU and reinstall them from scratch. 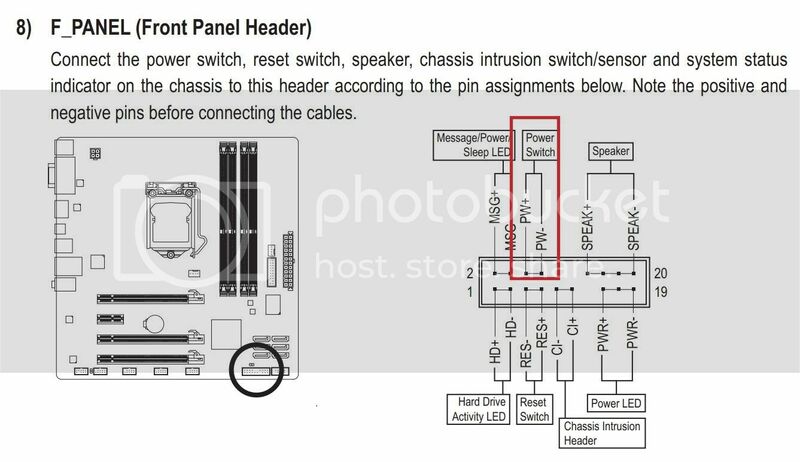 in terms of the internal wiring, for the power switch you just need to ensure you jump the correct two pins on the board, polarity is not an issue for the power switch. To eliminate the switch itself you can short the two pins (carefully0 with a plastic handle screw driver. To be honets there are loads of things you can do to test what is going wrong, but i think maybe the above is a good starting point. Often you can get a tiny amount of oxide on edge connectors (particularly RAM and graphics cards). They then give trouble due to the slightest movement. Clean them with a soft pencil eraser and pop the RAM (or whatever) in and out a few times to ensure the sockets are clear too. Generally check everything for firmness of connections, unplug and re-plug if in doubt. I've found SATA power and signal connectors can play up too. i am at work but i can't help thinking that i am just not connecting the power switch wire correctly. but how many ways can there be. when i go home tonight, i am going to take another look at the wiring. i just wish that there was some kind of wiring manual available for these new computer towers. the instructions that came with this one was not any help at all. › Built a new computer. 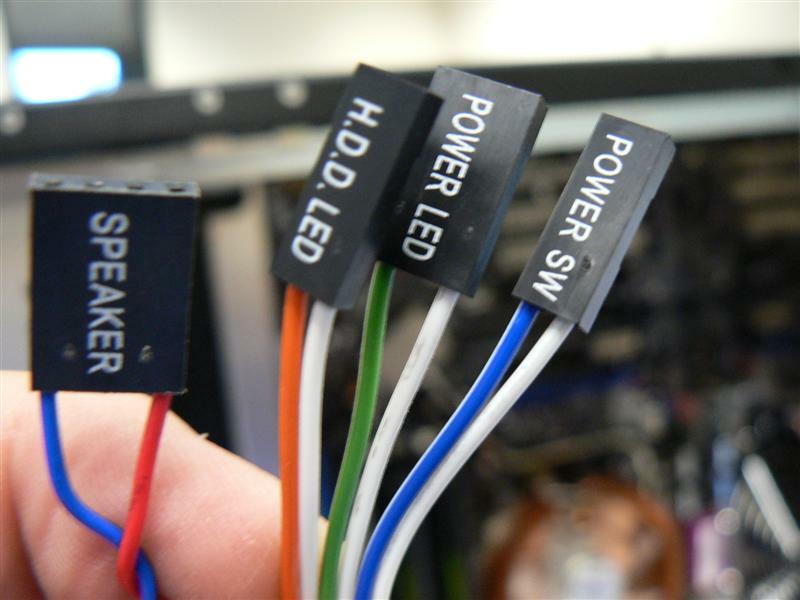 Fans spin but..
"i can't help thinking that i am just not connecting the power switch wire correctly"
The power switch plug has no polarity, the only possible thing you could do incorrectly is connect it to the wrong pins on the motherboard. The pins on the board should be labeled & the plugs should be labeled, just take your time & make sure to match everything up. Did your son unplug the power cord before he started messing with the wiring? Hopefully he was not carrying a static charge before he reached into the case and began touching things. Can you tell us what you mean by not powering up - is it absolutely silent with nothing ever seen on the screen?